Are you wondering if franchising is right for you, or have you decided that franchising is the way to go, but it’s a matter of finding the perfect fit? By now, you’ve probably read about some of the incredible advantages of franchising, including joining a franchise family, following a proven system, reduced risk, tapping into a network of franchisees, brand awareness, customer loyalty, and so on. In sorting through various franchise opportunities, you may wonder what makes a Tutor Doctor franchise different. A lot of it has to do with our franchisees, their personalities, characters, and lifestyles – our franchise model is unique because of its flexibility and the way it can adapt to our franchisees’ schedules – they don’t have to be tied to a brick and mortar location which, for those escaping Corporate America, is...huge. As a Tutor Doctor franchisee, you don’t need an office unless you prefer to have one. This feature is appealing to individuals who don’t want to be tied down, who love the idea of working from anywhere. While some of our franchisees do work from a small office or a home office, a lot of them are drawn to Tutor Doctor’s in-home tutoring business model because they can keep their business overhead low. And, not having to lease an office does just that. Since most of our consultations are conducted in potential clients’ homes, franchisees can run their businesses from the comfort of their own homes; all they need is a computer and a phone. This flexibility allows them to conduct their businesses from a variety of locations, including their favorite coffee shop, or even the beach – a big perk! You do NOT need a background in education or tutoring to build a successful Tutor Doctor franchise; you will simply be duplicating our proven franchise system. Don’t worry, we’ve got you covered. We’ll provide you with all the education, training, support, and tools you need to build a business well-positioned for success. All you need to bring is the “willingness” to follow our proven systems and we’ll help you with the rest. With Tutor Doctor, you can be up and running in less than 90 days! Now, that’s almost unheard of with most startups and franchises. If you like the sound of being guided along the path to independent profitability in a few short months, Tutor Doctor may be the right franchise for you! Not only do we have a well-proven franchise system, we’ve been globally recognized! As one of the fastest-growing franchise opportunities, we received Child Magazine’s Parent’s Choice Award numerous times. We received the Top 50 Franchises for Veterans award from USA Today, and we’ve been featured in Forbes, The Wall Street Journal, and on ABC, NBC, Fox News, and CBC. Outside of the U.S., Tutor Doctor is ranked #6 in Britain’s Elite Franchise 100 list (and the best education franchise in the UK), and we won the British Franchise Association (BFA) 2018 innovation award for virtual tutoring. Our franchisees are doing some amazing things in their own backyards. They’re strengthening their communities by helping children succeed at their most important roles as students. We have to admit; the effects of tutoring children are extremely rewarding. Tutor Doctor franchisees aren’t just making a difference, they’re helping build brighter futures for generations to come and as a result of these honorable efforts, we have a 95 percent recommendation rate. Tutor Doctor has been included in the Franchise 500 list, voted #1 in-home tutoring franchise worldwide, Top 100 in Fastest Growing, Top Home-Based, and America’s Top Global by Entrepreneur Magazine. Tutor Doctor is unlike any other franchise opportunity because of its low investment, schedule flexibility, and how it strengthens communities through education. 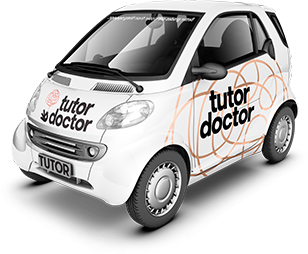 Contact us today to find out if the Tutor Doctor business opportunity is right for you!